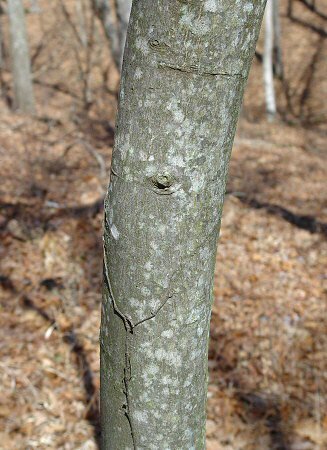 Habitat - Upland woods, glades, balds, alluvial woods, rocky woods. 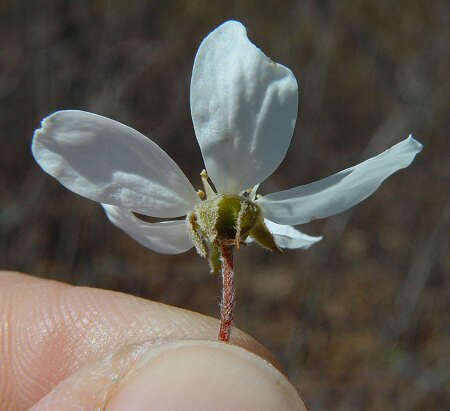 Other information - This striking species can be found throughout Alabama but is less common in the coastal counties. 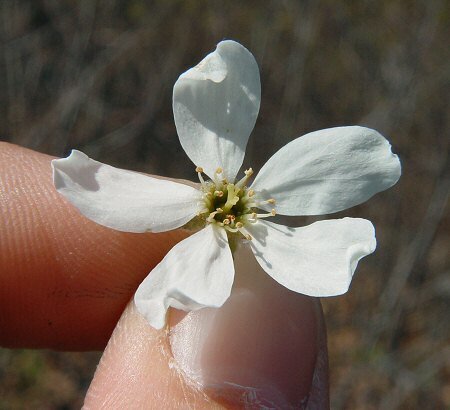 The plant is one of the first trees to bloom in the spring and is easy to identify because of its many white flowers. The petals of the flowers are thinner and longer than most others in the rose family. 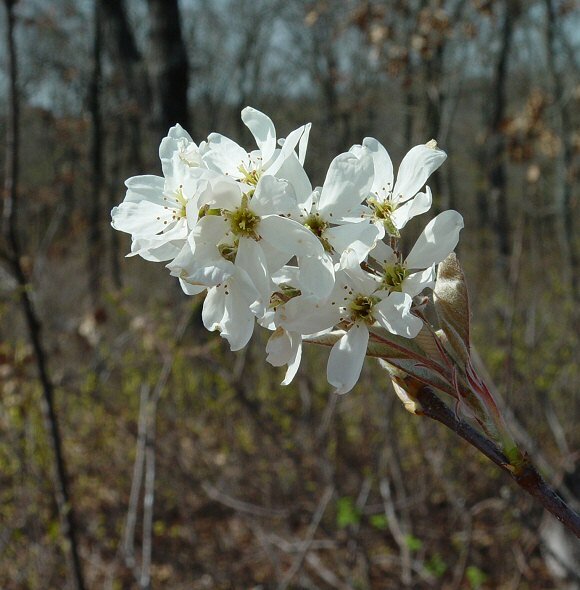 There are 4 other species if Amelanchier in Alabama but all are far less common than A. arborea. 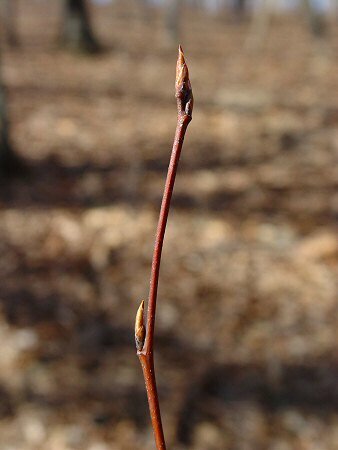 The genus name Amelanchier comes from the Savoy province in southeastern France. 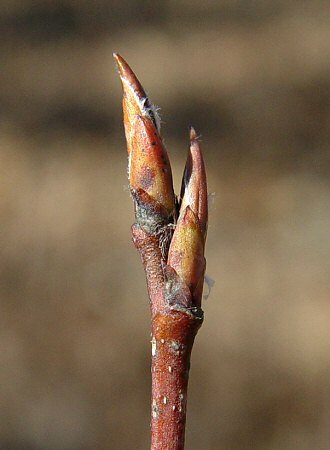 In that province, the name Amelanchier is given as a common name to another tree species from the rose family, Mespilus germanica L.
The species epithet arborea dervies from the Latin "arbor" and means "tree-like". Photographs taken at Whetstone Creek Conservation Area, Callaway County, MO., 2-19-04, and at Dave Rock Conservation Area, St. Clair County, MO., 4-3-04.